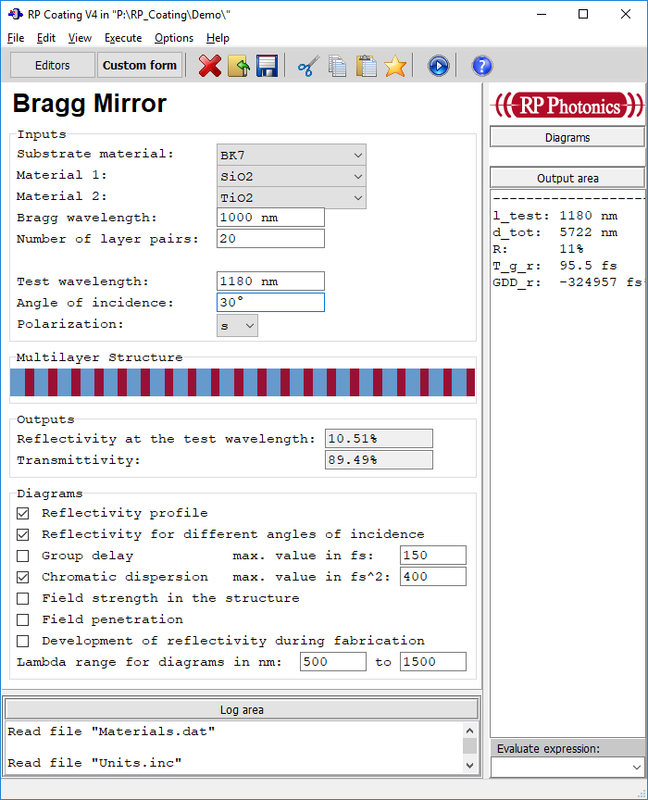 With this demo file, containing a custom form, we can conveniently analyze the properties of a Bragg mirror structure, containing some number of layer pairs with quarter-wave thickness. 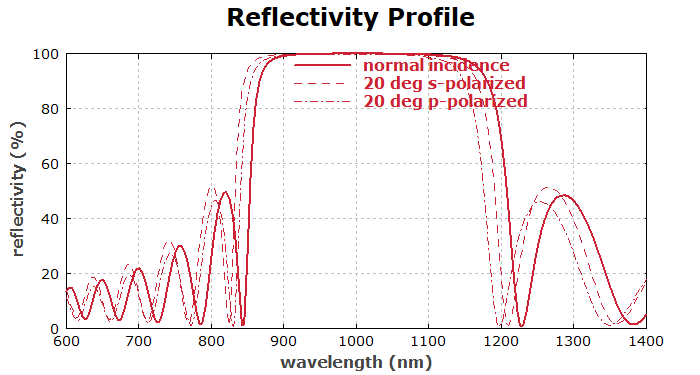 "Reflectivity for Different Angles of Incidence"
Additional diagrams, not shown here, contain plots of the group delay and the group delay dispersion as functions of the wavelength. 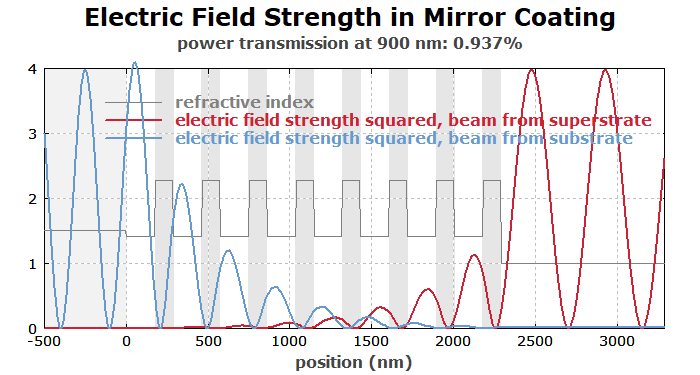 "Development of Reflectivity During Fabrication"
When only the first two layers are grown (bottom part), we get a weak but broadband reflection. 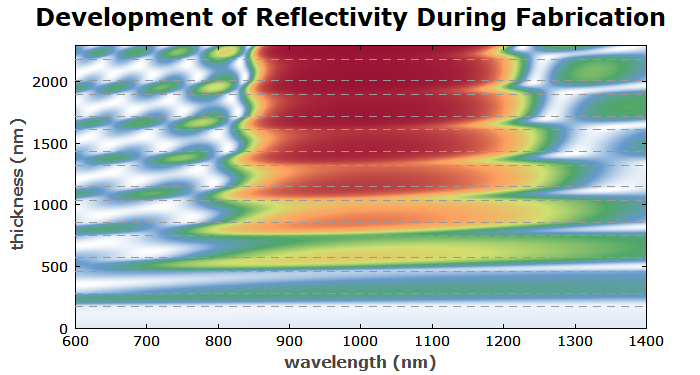 Further layers increase the reflectivity, but only in a limited bandwidth. 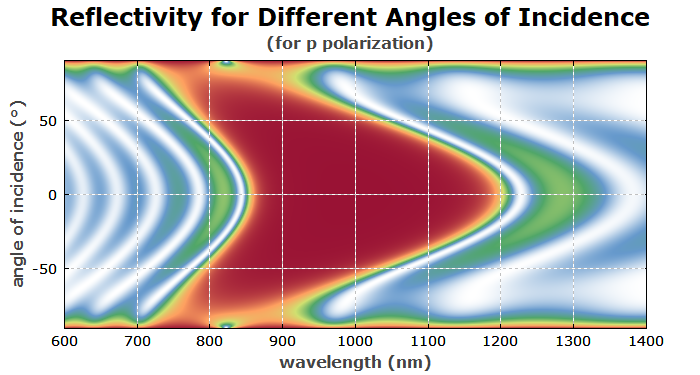 You can see that with a few lines of script code one can create all sorts of diagrams – not only a few types envisaged by the software developer. 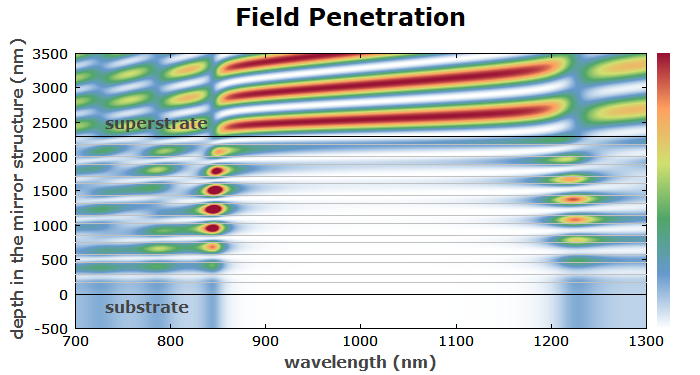 Of course, you can use the technical support if you need some hints on how to make a new type of diagram. This is what is needed to define the heading and the first few input fields.